The illustrations above show bust measurements taken around Body over bra (Fig. 1) Dress form (Fig. 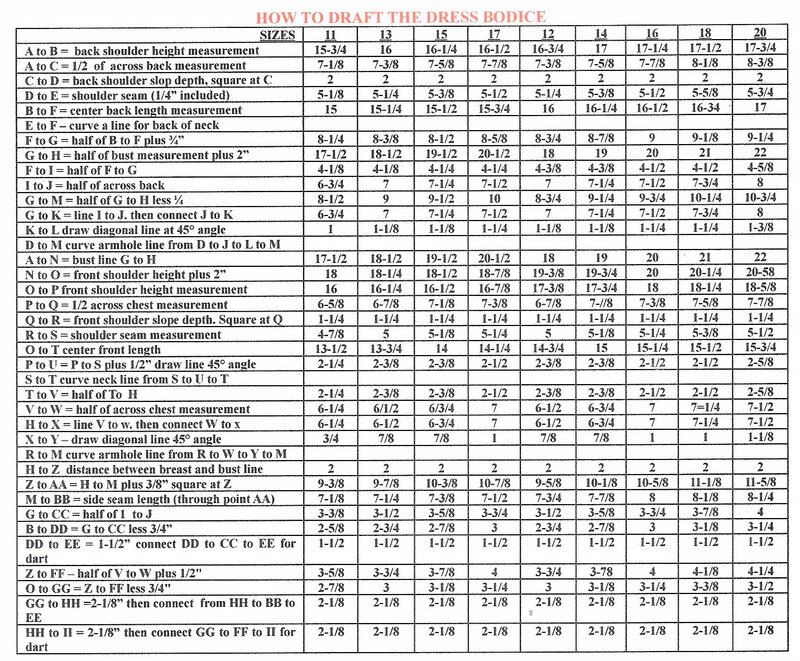 11) Dress or blouse (Fig 3) All 3 figures represent size 16, yet it is important to note that for chest expansion allowance, the dress form (Figure 2) measures 2” more around bust than on figure 1, and that the dress or blouse (Figure 3) measures about 4” more than figure 1 for ease and free arm movement. 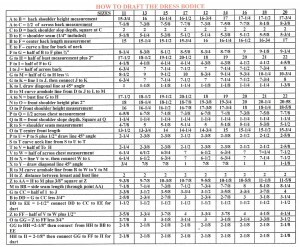 Therefore, the bust measure on size 16 is – The draft to the right provides 4” ease allowance Sketches above show where the measurement is taken on the figure. 36” on figure 1 38” on figure 2 40” on figure 3 1-Back shoulder height 2-Across back 3- Shoulder seam 4- Center back length 5- Bust line 6- Side seam length 7- Front shoulder height 8- Center front length 9- Across chest around bust and 1” ease allowance waistline.